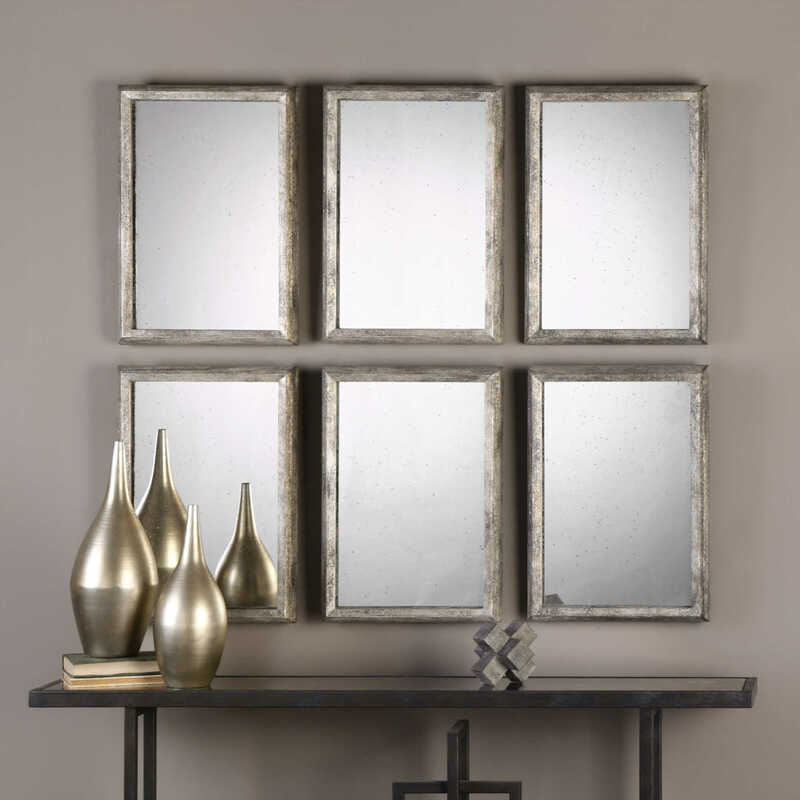 Arrange these mirrors in any fashion to meet your needs and desires. Hangers are attached so they may be hung horizontal or vertical. 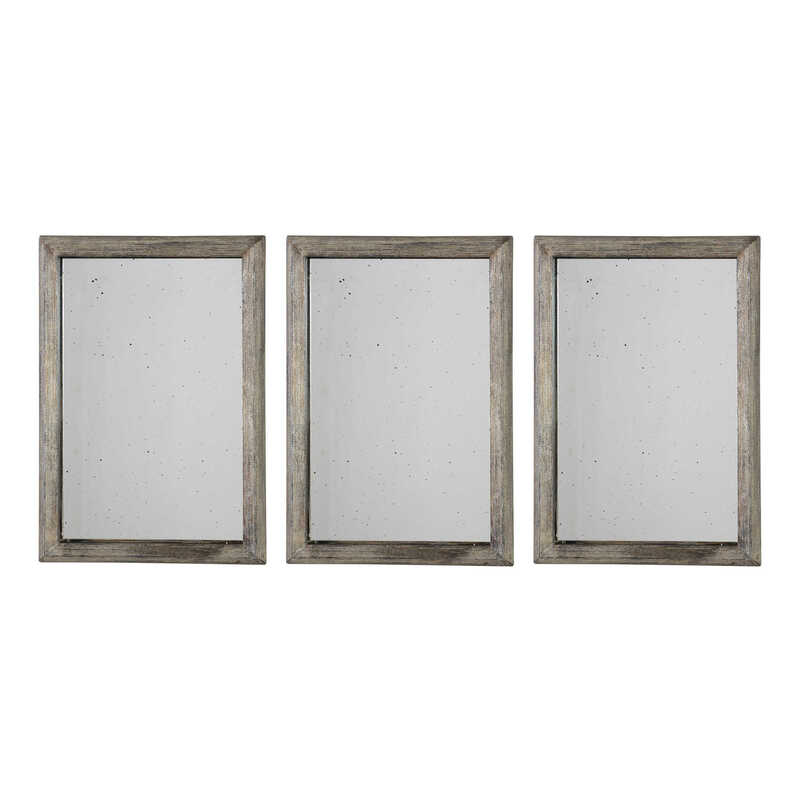 These solid wood frames feature a subtle ribbed texture and are hand finished in an antiqued, burnished silver leaf. Two sets of three are shown.